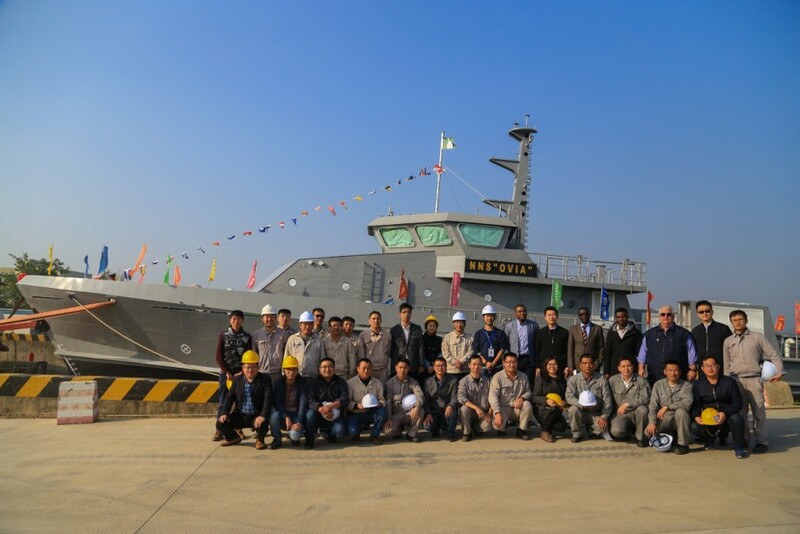 Nigerian private maritime security company, Ocean Marine Solutions (OMS), has held a naming ceremony for its new patrol boat, which is being built by China’s Jianglong Shipbuilding. The vessel, which has been named Ovia, has a length of 38.8 metres and a width of 7.2 metres. It will be powered by three Mitsubishi 1,885kW engines that can deliver a maximum speed of 34 knots. As with the other patrol boats in the OMS fleet, Ovia will be used to augment the ships of the Nigerian Navy in providing asset protection for oil and gas offshore platforms and in escorting commercial vessels through Nigerian waters.